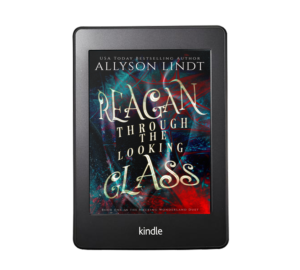 Every week I send a new chapter (or more) of my serialized novel, Reagan Through the Looking Glass to my newsletter subscribers. as well as sale and new release information, from Allyson Lindt. Enter your email address below to start reading Reagan Through the Looking Glass now, and continue getting new chapters every week, as soon as they’re available.